The message of this sticker is clearly advocating for women's rights. The text reveals a wide variety of issues that are central to feminist movements. This sticker raises awareness about these issues in attempt to create a more equal and just world for all. 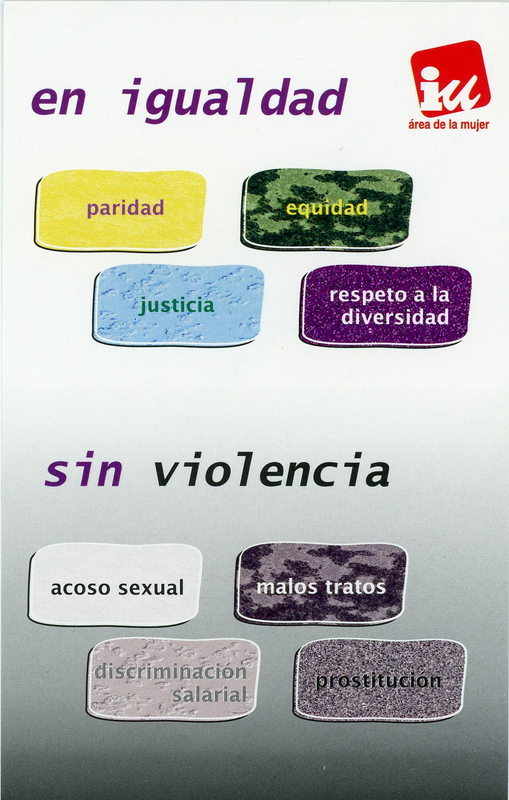 The United Left, a political and social movement in Spain, produced this sticker as part of their Area of the Woman campaign, which allows women to come together on these issues through discussion in hopes of eventually changing legal policies surrounding these problems.